After photographing the doors of the closed Manor Shades pub on day 7, I thought I ought to start shooting the pubs in Gravesend that are still open. 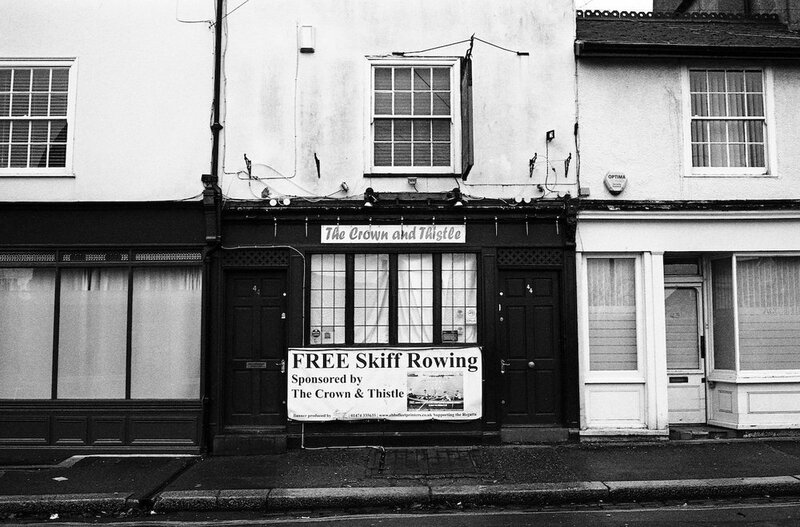 I headed to The Crown and Thistle, a pub I’d always been meaning to visit on to find it’s also closed. According to the internet, it closed at the end of 2015. Sad times.